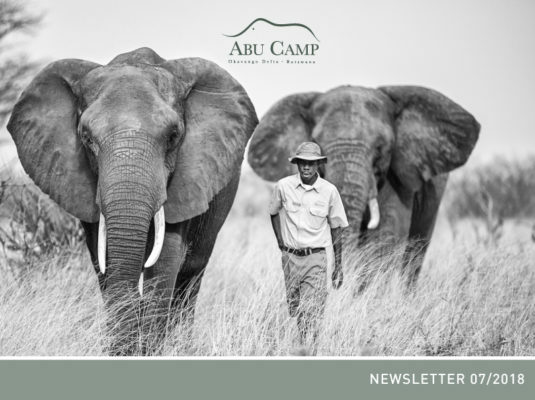 Fascinating lion events, fish traps and of course elephant happenings – all at Abu this month! Spring has certainly begun here in the Abu Concession – the tell-tale signs are all around us. With flowers bursting open, the Okavango is at its most colourful – and these new hues are set off against a golden background. The waters of the annual Okavango inundation have continued to recede, and it seems that some of the green is draining out of the landscape, too. This is perhaps the most challenging time of the year for many species. Temperatures are beginning to climb, but with the onset of the summer rains still some weeks away (at least), there is less and less water available each day. 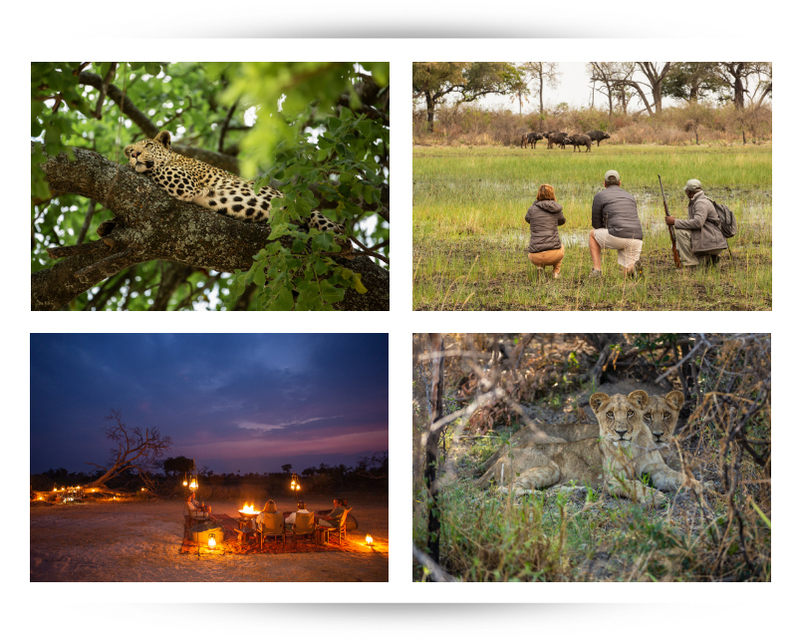 All of which makes for incredible game viewing, as the few remaining waterholes exert an ever-stronger pull. Of course the predators of the Abu Concession are conscious of this, too, and animals must run the risk of an ambush each time they come to drink. Spare a thought for the fish which have been stranded by the retreating water. Appropriately-named “fish traps” represent a bonanza for herons, storks and egrets; the fish can still swim, but they can’t hide. The pools that are still deep enough to provide sanctuary to hippos are becoming crowded, and tempers are beginning to fray. While aquatic species are experiencing a shrinking of their habitats, lower water levels at many of the crossings in the concession mean that we can once again access areas that we’ve not been able to visit in some time. 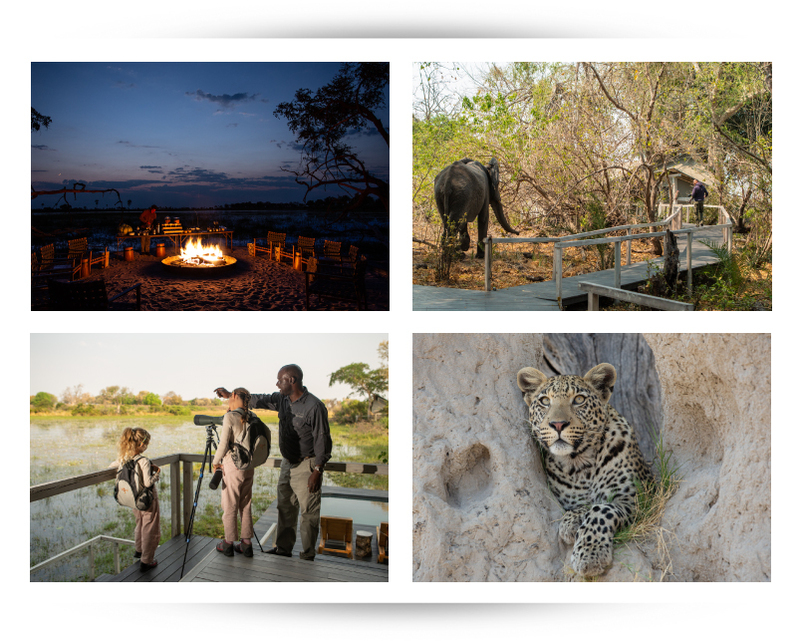 Effectively our concession – already one of the largest in the Delta – is growing each day, and we’re enjoying sharing “new places” (some transformed, others reassuringly familiar) with our guests. These ecological factors conspired to make August a month replete with wonderful wildlife sightings. Historically, Abu was not always regarded as a particularly fruitful place in which to look for leopards, but that has certainly changed. The areas around the camp and the airstrip have both seen a lot of leopard activity. Occasionally the vicissitudes of life throw up unusual circumstances for resident animals, and it’s a testament to their will to survive that they readily adapt, even when it means tearing up the rule book on how they are “supposed” to behave. The lioness with eight cubs has not been seen for over a fortnight as we write this, causing us to fear the worst. Instead, four of her cubs have been sighted, without their mother. Lacking hunting experience and skills, they appeared to be in a bad way and quite malnourished. At this point they were “adopted” by an adult male lion – an extremely rare occurrence. The death of a wild elephant (from natural causes) proved to be a lifeline for these young lions, providing the boost they so desperately needed. The attention of both our elephant managers, and the Abu Herd, has been largely absorbed by the ongoing antics of our two 2018 calves, Motlotlo and Shamiso. The three months between their dates of birth is the only thing that separates the two of them. Motlotlo, the older and larger of the two, is the leader, but he is often inspired to new heights of playfulness, curiosity and mischief by Shamiso. True to his name, Shamiso continues to surprise us almost daily, and we are making the most of this wonderful (and unexpected) opportunity to study two calves at once, and discover more about how they learn, interact and grow. The clouds that will bring the summer rains have yet to appear on the horizon, but with frequent big cat encounters, new territory to explore, and young elephants to watch over, we have more than enough to keep us busy while we await the precipitation and the pleasantly poignant petrichor it provokes. Todd, Kelly, Kele and Onka (managers) and BT, Matamo and Joe (guides). I hope Wilderness posts Abu posts on their Facebook page. Highly unlikely.